Whether you're trying to work on your tan at South Beach, eat the best Cuban food in Little Havana, or experience the excitement of this city's renowned nightlife, Miami will never stop surprising you. This one-of-a-kind city is one of the most visited destinations in the country, which should come as no surprise to those who have already experienced the energy and excitement of Miami in person. This vibrant, colorful city is unlike any other in the world, and now you just might get to embrace the sunshine and the electricity of Miami in person. When you start planning your Miami getaway, rely on Vacatia to help plan one of your best vacations yet. 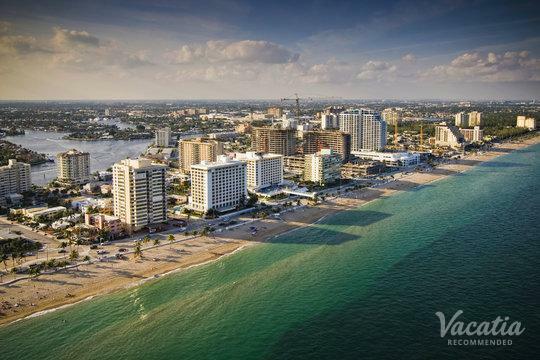 Vacatia provides travelers with exceptional vacation rentals in some of the world's best destinations, such as Miami. So if you want to find the perfect home base for all of your Miami adventures, simply let Vacatia take the reins and find you one of the best three-bedroom suites in Miami. Miami boasts so many eclectic neighborhoods and exciting destinations that you'll never be bored in this trendy city. Whether you want to spend your time in the famed South Beach or the artistic Design district, you're sure to fall in love with the Magic City. The key to planning the perfect Miami vacation is to share it with someone else, whether it's friends or family. However, planning a vacation for a larger group can seem overwhelming, especially when trying to find accommodations that everyone will love. Fortunately, Vacatia makes it easy to find quality vacation rentals that will accommodate your entire group. So whether you're planning a family vacation or a getaway with friends, you should work with Vacatia to find the best 3 bedroom suites Miami has to offer. Every Vacatia rental features the services of a resort as well as the added space of a condo, which means that you can enjoy your very own kitchen during your Miami retreat. When you let Vacatia help plan your Miami vacation, you are sure to feel right at home in this exciting, fashionable city. All year long, visitors flock to the shores of Miami to experience the excitement, the energy, and the beauty of the city in person. Miami is known worldwide for its breathtaking beaches, its beautiful people, and its vibrant social scene. Whether you are traveling to Miami with the family or with a group of friends, you're sure to find plenty to entertain and excite you in this one-of-a-kind city. From the trendy scene in South Beach to the vibrant streets of Little Havana, there's something for every type of visitor. To ensure that your Miami getaway is one for the books, simply let Vacatia help you book your accommodation. 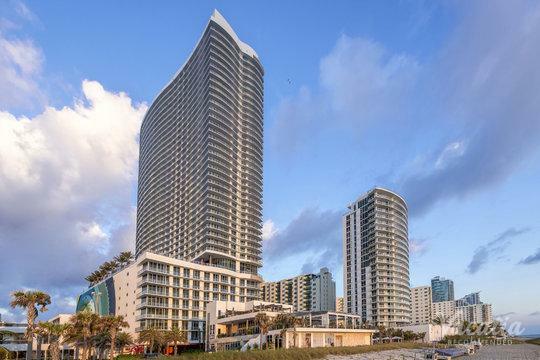 Whether you want to stay in South Beach, in Coconut Grove, or in Brickell, Vacatia can help you find your perfect home away from home in Miami. Once you have a great home base, you'll be able to enjoy every moment of your time in this magical city.